The new self-titled album from Coco Hames, the former frontwoman or beloved garage pop outfit The Ettes, is your perfect music to start the weekend. But we suspect that it won't leave your playlist for a long time. Hames packs the record with earworm, '60s-style melodies, sung with a versatility that encompasses Spector-era girl groups, pop seductress, strutting indie rock frontwoman, and alt country siren. And while the arrangements and melancholy pop themes nestle neatly in the indie pop standard channel, the songwriting is adept and sincere, and the execution is top quality. From the beginning to the end, the star is Coco's appealing voice, like honey laced with a shot of hot sauce. When added to her gritty performances with The Ettes, the inescapable conclusion is that Coco Hames is an artist that can deliver a winning performance in any style of pop music. Coco Hames is the beginning of a new, and very bright future for the young lady. The album is out today on digital, CD, and vinyl formats via Merge Records. Recorded by Colin J. Nelson at Her Car Studios. Mastered by Carl Saff. Music never sleeps, and the next LP from Sweden's The Legends works the nocturnal side under the title Nightshift. And while it is too soon to explore the album, we can bring you the single "In Love With Myself", featuring guest vocalist Elin Berlin working alongside Mr. Legend, Johan Angergård. The song mashes techno and electro pop with the energy and forward push of a fevered funk-jam session. Exciting stuff -- enjoy it below. Nightshift will be released in double disc limited edition vinyl, digital and CD formats on April 21 via Stockholm's Labrador Records. 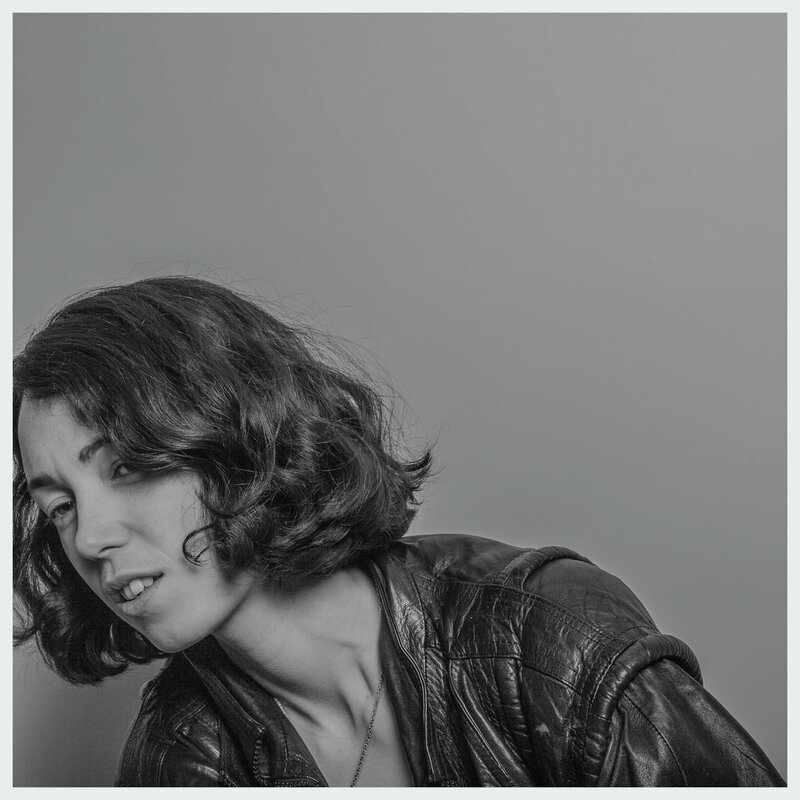 Last year I was sent an EP by a Welsh-born Londoner named Kelly Lee Owens. I was impressed, but very busy and didn't get around to writing about it. But I made a mental note to pay attention to her future solo work, so I dutifully listened to her self-titled debut album this week. The verdict, for those of you who don't like to wait for the bottom line, is that Kelly Lee Owens likely is the most adventuresome yet fully accessible electronic album you'll hear this year. Oh, sure, its only the end of March, but the album really is that good. In fact, I thing that I could broaden my statement to last year and next year and have a decent chance of not being wrong. The songs are based in techno, but transcend to broader dance modes, electro pop, electronic, dreampop and experimental pop. At times it is airy and subtle (but never shy), other times sensual and stylish, and yet others pulsing and throbbing. But it always has a purposeful and very forward drive. As an artist, Owens is bold and clever, but also very sincere. She is on the voyage with her audience, trying to please others by pleasing herself, and willing to take risks to do so. I'd like to think she is a big fan of this album, and given her talent, that is good news for all of us. Kelly Lee Owens is out now. See the Bandcamp link below for details. With six songs and in a bit over 40 minutes, Under The Pines stands as a perfect statement of the essence of Bardo Pond. Heavy, throbbing riffs, experimental static, distortion and fuzz, reverb and drone, strings ethereal vocals riding the storm, and moments of delicacy bracketed by the sonic wall, it is all on display. The Philadelphia band manages to be weighty, but avoids brutality with streaks of light and air. And while this might sound like some stoner's dream band, and for all I know many stoners consider it their dream band, the delights aren't just for those ingesting substances. Under The Pines is serious music, and seriously good music, for the times when you want the rock to roll. Bardo Pond are Michael Gibbons (guitar), John Gibbons (guitar), Isobel Sollenberger (flute and vocals), Clint Takeda (bass guitar) and Jason Kourkounis (drums). Under The Pines is out now in digital, CD and vinyl formats via Fire Records. We don't do one-word features here. Not that we aren't tempted, but even for us slackers at WYMA headquarters it seems just too obviously lazy to type "good", or "loud", or some other semi-descriptive terms and press 'post'. 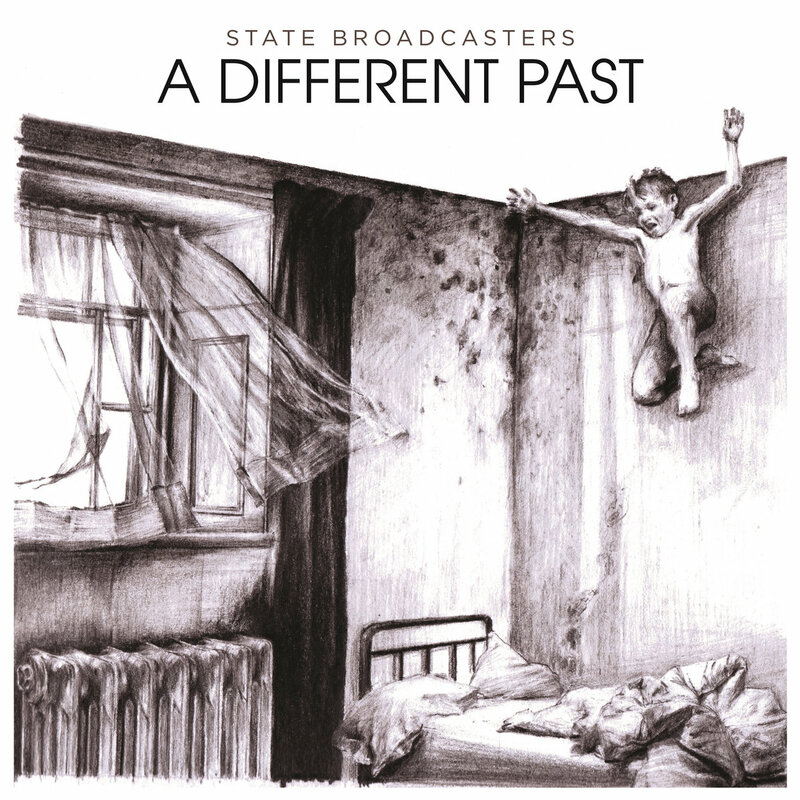 But if we were to post just one word for A Different Past, the new album from Glasgow's The State Broadcasters, it would be "sunshine". And that word wouldn't be chosen because all of the themes embodied in the songs of this album are sunny, but because pop this sparkling suggests sunshine regardless of lyrical content. A Different Past is sophisticated without being slick, sweet without being cloying, and immediate while being carefully crafted. Their third album may have been four years in the making, but the results demonstrate time well spent. 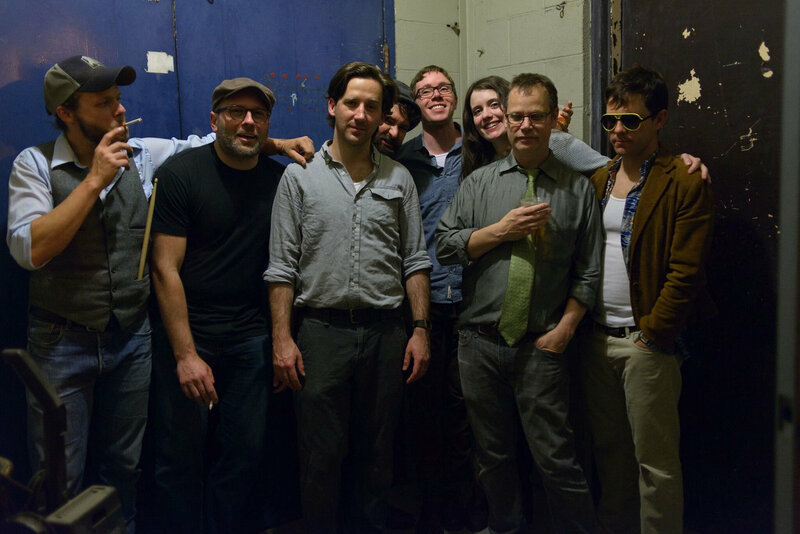 The band has a wide sweet spot, with indie rock tracks such as "Feelin' Alive" living harmoniously with Americana gems such as "Cycle Home Drunk" piano-driven indie pop such as opener "Break My Fall" and the lovely "Folding", ballads such as "Braced Against The Cold" and "Let The Wolves Roam", and delicate folk such as closer "Ribbons". In addition to thoughtful and incisive songwriting, The State Broadcasters benefit from multiple vocalists and an instrumental palate that encompasses brass, accordion, double bass and strings, as well as more traditional pop/rock tools of the trade. The result is vibrant music with every track sounding fresh and distinct. Yes, indeed, there is pretty strong wattage to this sunshine. A Different Past is out on March 24 on vinyl, CD and Digital formats via Glasgow label Olive Grove Records. See the Bandcamp link for details. The State Broadcasters are Pete MacDonald (piano/trombone/vocals), Gillian Fleetwood (harp/accordion/vocals), Cameron Maxwell (double bass/trombone/electric bass/vocals), David McGinty (guitar/vocals), and Susan Appelbe (cello/vocals).